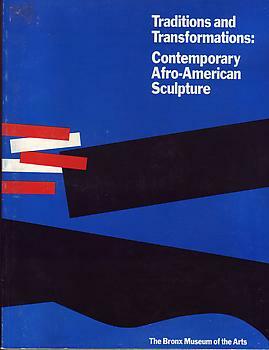 This is a catalogue of an exhibition of contemporary Afro-American sculpture held at the Bronx Museum of the Arts from February 21 to May 27, 1989. There is an introduction by Phillip Verre, chief curator, and an essay by George Nelson Preston. Artists participating in the exhibition are Elizabeth Catlett, Houston Conwill, Melvin Edwards, Sam Gilliam, Maren Hassinger, Richard Hunt, Tyrone Mitchell, Howardena Pindell, Alison Saar and George Smith. The book includes black and white and color plates as well as artists' biographies and bibliographies, and a general bibliography.